Everything free for camping ... Just add the tent! With the high cost of airfare, a camping vacation might be just the thing for your family this year. Whether you are here for boat plans or to build something for your campsite, we have many camping plans to choose from. 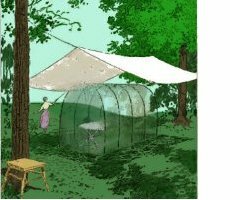 Find out how to pick the right tent for you or make one yourself from one of our tent patterns. Be sure to check out the camping checklist to save yourself lots of time and anguish. 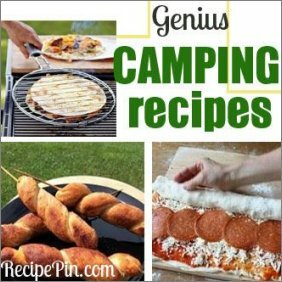 Prepare in advance for your camping trip by printing out some of the recipes and gathering all the ingredients to take with you. Need a tent? If you are going tent camping, check out the articles on how to choose a tent and how to pitch a tent. There's even a homemade shoulder-pack tent you can make for very little cash. 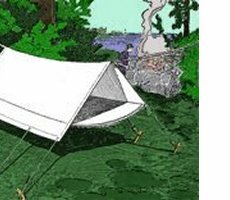 Or try making the hammock sleeping tent for a camping hammock that will keep you nice and dry above the ground and away from the dreaded camping critters. New Camping Hacks - See menu above for more hacks. 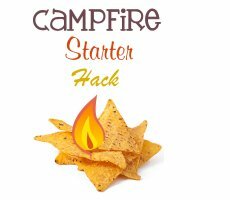 This hack is how to start a fire using Cheetos or Doritos. Even a video for your enjoyment. The chips really do catch on fire quickly. Just stand downwind of the fire or you will smell like burnt Cheetos for a while. Longing for a boat? Of course, camping and fishing and boating go together much of the time.Not everyone has the skills to build their own boat, but if you do, try your hand at one of these. 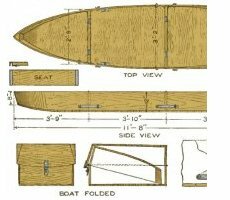 Build your own portable folding boat with these plans or try building a log raft. Complete instructions for building your choice of either one. 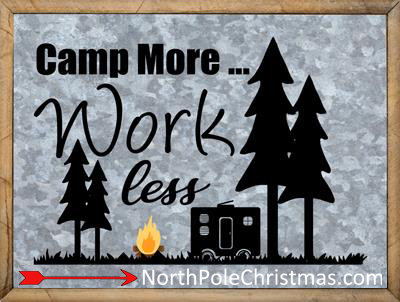 Whether you are a newbie or a camping regular, we have a great printable camping checklist to make your vacation so much easier. 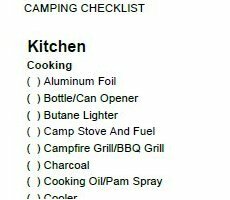 You won't be able to miss a thing that you'll need for camping if you follow this comprehensive checklist. New! 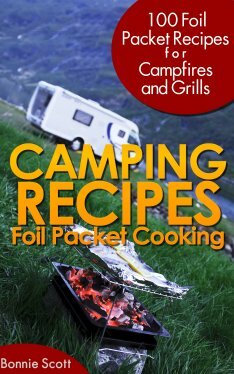 Camping recipes including foil packet recipes, hot dog recipes, chicken, beef, hamburger recipes, desserts for camping and many more. 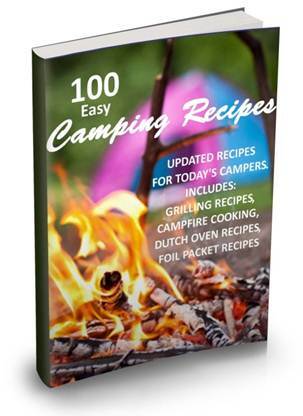 Don't go camping without this free camping cookbook! Insects a problem? Build this camp mosquito shelter and outsmart the little varmints. It's perfect for containing your picnic table so you have a place to eat in peace without bugs. And later, you have a place for board games or cards without insects. And don't stop there. We have all kinds of nifty camping tips including how to build folding camp chairs and camp tables, plywood boat plans, pontoon boat plans and even how to build a camp fire. Dive right in and create the camping vacation of your dreams! Yes, I wrote this book! 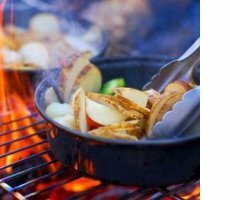 I've put together some of the best updated camping recipes to make your life easier. Instant download in Kindle format and now in paperback.